If you are wondering when the best time is to zip in Colorado, it’s hands down in the fall. The aspens are changing, the mountains have just a touch of snow at their peaks, and the crisp air is still welcoming enough for some outdoor adventures. Colorado is known for big mountains, big water and even bigger memories that are made here. This time of year allows you to still get deep in the mountains on an adventure with out all the heat and crowds of summer and the restriction of snow in the winter. Come learn how the Centennial State got it’s tagline “Colorful Colorado” on a zipline tour this season. If you’re looking to keep it active at dusk with family and friends in the Rocky Mountains, zipping is the way to go. With just the glow of the galaxy from above, this amazing adventure is a nighttime sight to be seen. For those of you who are more into the planet’s versus the stars, this time of year is perfect for a Venus sighting. The starlight zip is an amazing way to wrap up any night. Picture it, the sun has just set, and the cool Colorado air is whisking into the cliffside. Getting those kids or significant others into the tree tops to hang at spectacular heights and gaze upon the stars makes a night to remember. There’s a full moon just around the corner, and if you’re wanting to start your Halloween festivities off with some spooky soaring among the mountaintops, this Full Moon zipline is perfect for you. 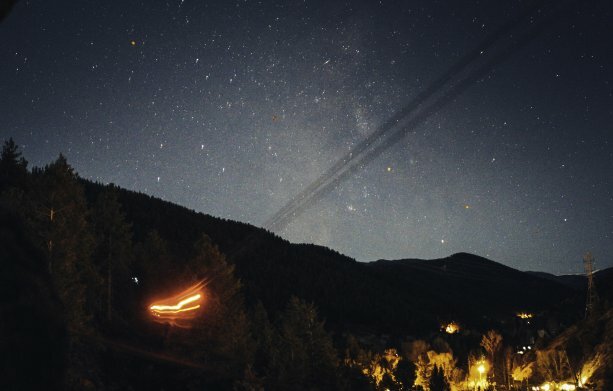 Book your starlight zipline adventure on October 24th for a fun starry-skied adventure in the Rocky Mountains. The best part about being Colorado in the Fall, is it the best time of year to do any activity here as well. Mountain biking in the Rockies in the fall is like being in a painting worthy of being in an art museum. Hiking here in the autumn season simply gives you more time to see these majestic views. The critters on the cliffside seem to enjoy the cooler weather as well. Its very common to see a moose taking a stroll down a path toward a lake with its calf. Fall is short-lived but definitely something that cannot be overlooked in Colorado. Whether you’re out on an afternoon adventure or decide on a starry night soar, fall in Colorado is the perfect time for a zipline trip. On AVA’s starlight tours, you get to fly through the course equipped with glow sticks and a headlamp. Seeing the stars above is awesome, but seeing your friends become shooting stars as they fly through the course is a memory everyone should make. Taking the steps into the darkness to plunge to the other side of the cliff is a rush of excitement. The moment you get on the course is like nothing you’ve ever done before. This truly is a great time to bond with love ones. On this fully guided tour you’ll meet some new faces and share some heart warming laughs and adrenaline rushes. 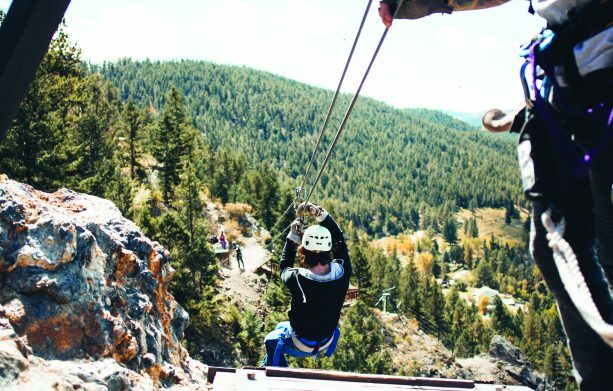 Book your fall adventures with Colorado Zipline today!